The new body for R Line dolls including Lance, Nia, Jerome, and Yeon-Ho, can now be seen on the Crobi Doll website. The new version 2 body will be released on March 1st. 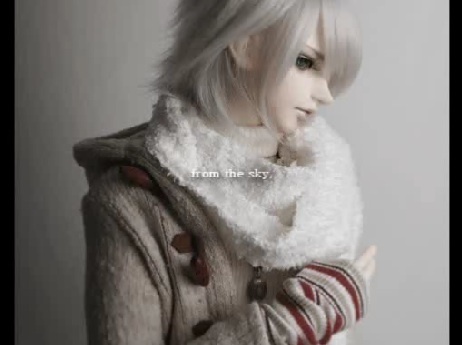 Yeon ho will be re-released as a full doll at that time as well. Yeon Ho was originally sold as a head only. Crobi Doll is now taking pre-orders of their new Milch and Micru dolls. The 40 cm. dolls are being sold as basic dolls with normal skin and a pair of eyes. The outfits are available separately. The face-up is optional. The new C-line bodies are shown on the home page separately, but are currently not available for sale. Crobi Doll will allow customers to choose between the two bodies they sell; 60 cm. R-Line and 65 cm. M-line for their Yeon-Ho, Ys, Lance, and Nia dolls. Yeon-Ho, who is usually sold as a head only, would be cheaper if ordered as a full doll. All of the Crobi Doll heads in the offer are compatible with both bodies. If the company sells out of dolls before the end of the event, it may end early. The body choice will only be available from March 4th to the 31st. Crobi Doll has announced that the winners of the Photogenic Contest will be released on January 19 at 6 PM, Korean Standard time. They apologized about the delay, but explained that the response was overwhelming. In addition the quality of the work was very high, making it very difficult to choose the three winners. Crobi Doll has posted pictures of the free wigs that are given away as part of the special event for this month. Crobi Doll has also posted pictures of the necklaces they are giving away. Crobi Doll has released their new dolls. They are the 66 cm. M Line body boys Mikhail and Ys, and 63 cm. R Line body boy Nia. Mikhail is Limited and comes in tanskin. He has an option choice for face-up to include his scar or not. 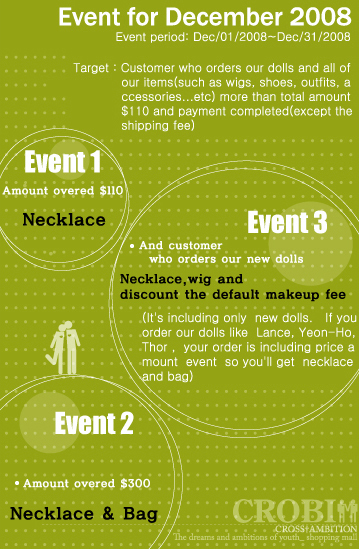 There will only be thirty dolls made and wig and clothing are not included. Ys can be ordered in Crobi Doll face-ups type A or B. Nia is 63 cm. tall and has only one face-up option. Ys and Nia come in normal skin. Each doll can be ordered with a discounted price on the default face-up. Today the Luts, Crobi Doll, and Cherishdoll Winter Holiday Events begin. 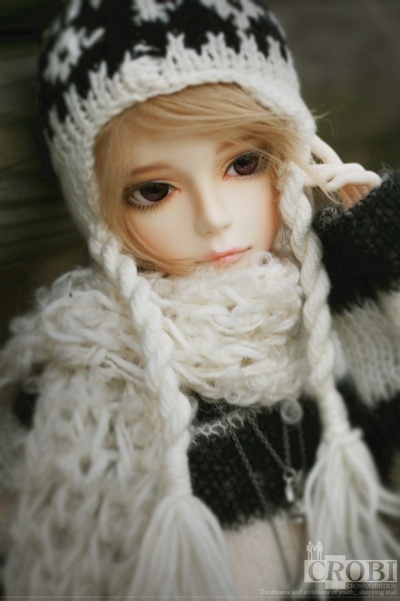 Luts is reducing the prices of the dolls they released today for the next 72 hours. (See details on the Luts website.) Currently all events listed on the Winter Event List are ongoing. IpleHouse‘s Event ends on the 8th of December. Crobi Doll has a new flash video on the site narrated in Korean and translated into English text. There are also three silhouettes of pets on the main page; two cats and a dog, each with a little story. They are previews for the Crobi Doll Christmas Event starting December 1st. 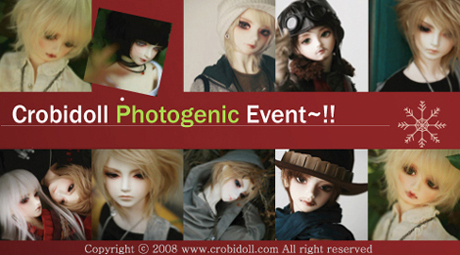 Crobi Doll is having a Photo Event. They are inviting anyone who has dolls from Crobidoll’s Lost Children series and Refrain the Memory (Lance, Thor, Marcel, Yeon-Ho) series to join. Owners are invited to post a picture of their doll in the Crobi Doll gallery. The company will have a lottery drawing from the entries on January 15th. More details are available on the Crobi Doll website.